… in full shape, on Saturday when the atypical typhoon Jongdari hit Japanese Archipelago. It went from east to west, just opposite to normal, still continues to walk above southern Kyushu. However, cautious preparation in Kansai area worked very well this time, makes Mei-Shun feel relieved. We and Mars would be able to enjoy our propinquity tonight in clear sky. 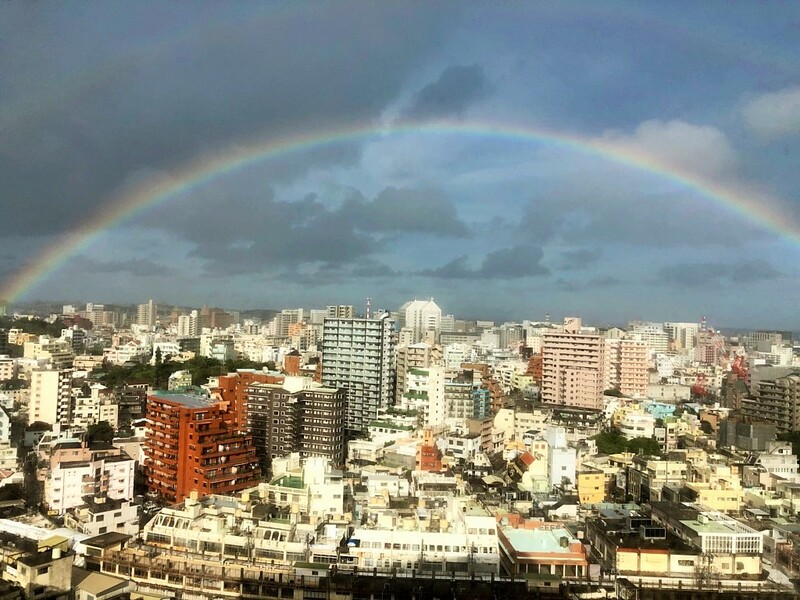 Double rainbow in Okinawa. Copyright © 2018 Shin All Rights Reserved.